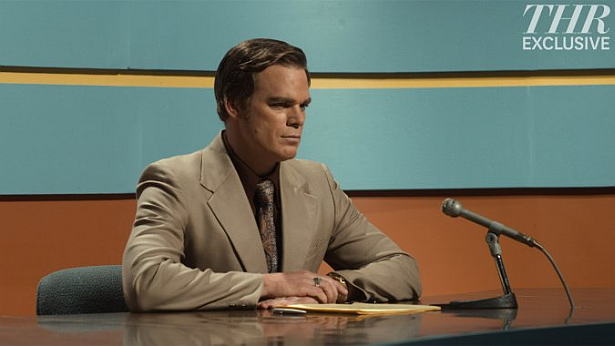 The Hollywood Reporter has an exclusive first look at Michael C. Hall's latest role, this time for the film 'Christine'. Hall, playing a fellow local anchor George seems like the typical all-American character, but he sits at the news desk unsettled. Check out more pics and info about the film, here.